Amps: How is the vibe in the band now with the two new additions (Aric Avina on bass, Rikard Stjernquist on drums)? V: It’s great. To be honest, we’ve always had good vibes in the band. Most of the stuff with BENEDICTUM’S line-up changes had to do more with geography than anything else, and it was very difficult to keep that passion alive when you’re not touring a lot and it’s not going on like you’d love it to, and you have to make arrangements to make a whole weekend out of it when you rehearse. And by the time that happens it’s hard to keep passion and feel like you’re getting involved. So when it happened that Pete (Wells, guitar) and I were living in the same area it was time to go ahead and see if we could make something happen to make things easier to sustain. And Rikard happened to be in the area and was interested. Mind you we were about to get into the studio with no bass player, so we had some auditions, and Aric really stepped up, and within a few days he learned everything very, very well and was able to throw it down in the recording sessions. Amps: It’s a very crisp recording. One thing I always look at in any band I listen to is the rhythm section, and those guys are rock solid, locked in the pocket, really good. V: I’m really glad that you said that. I agree and there was a little different approach which I had never witnessed. When we were at the studio, John (Hererra, producer) had them do the rhythm tracks live, so Pete was doing the rhythm track and Aric was doing the bass tracks going in direct and he wanted to keep that energy, and if there were any mistakes we’d deal with it later, but he just really wanted to capture that vibe of them playing off of each other, and that’s what wound up happening. Amps: Who does the writing in the group? 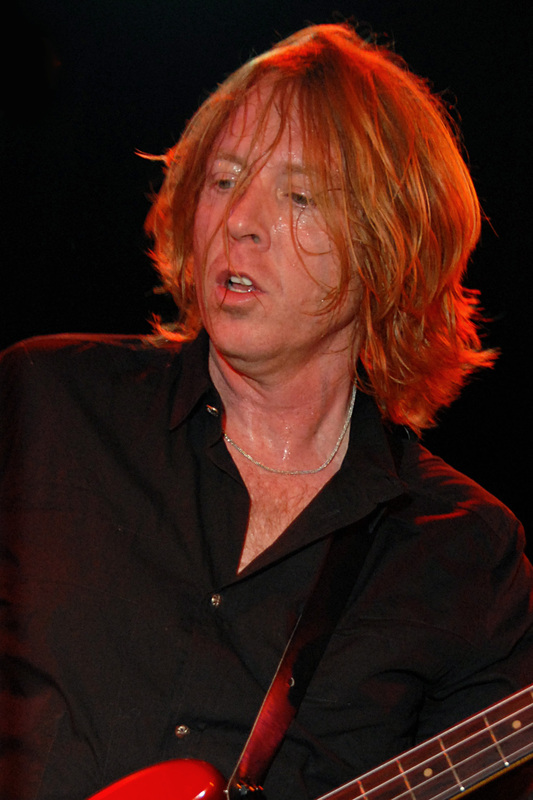 V: Pete Wells and myself, and of course, the other member of BENEDICTUM would be Mr. Jeff Pilson. He has such an influence on whatever the BENEDICTUM sound is and we always go back to him to help us if we’re feeling like, “ahhh! We need a little help here!” and it’s wonderful to be in his creative energy, which is a cool thing. Amps: Jeff, what is it that drew you to BENEDICTUM and be such an integral part of the bands recordings? Jeff: You know, from the minute I heard V sing and Pete play guitar I was a fan. They’re both really, really exceptional talents and then when we started working together the chemistry was so undeniable and strong and positive and productive. I mean, we’d all walk away from sessions just feeling UP, you know? Which is how should feel after you do music. It shouldn’t feel stressful or horrible. Obviously there’s gonna be moments of that but you should walk away feeling energized, and from the minute we started working together I just felt that connection with these guys, and I think I always will. It’s just really, really strong. Amps: You worked on “Evil That We Do”, “Retrograde”, “Fractured”, and “Obey”. Evil is my favorite on the album, so great job! Jeff: Well, I don’t wanna take full credit for producing those. What I actually did was pre-production and help with some writing and arranging, but we’ve gotta give John the credit for the production of it all because he did such a great job. Amps: What do you both like to do away from music in spare time? Any hobbies or interests we should know about? Jeff: Well I definitely try to get my sleep (laughs)! I have a family that I love very much and I try and spend as much time as I can with them, but in particular this last year there’s been very, very little down time for hobbies. I wish I had more, to be honest with you, because I do get a little oversaturated sometimes. But I love music and I love to make music, so I guess that’s part of the price you pay. V: I would say copy and paste Jeff’s answer! I would love to have time for hobbies, but when I’m not doing this I have a business that sells motorcycle accessories (Street Fighters Inc.) that pays the bills. If I had one it would definitely be motorsports. I went to the Formula One races in Austin, TX and that was awesome! Amps: And you still have Wild Hair Accessories and you’re also doing Heavy Metal Television? V: Absolutely! 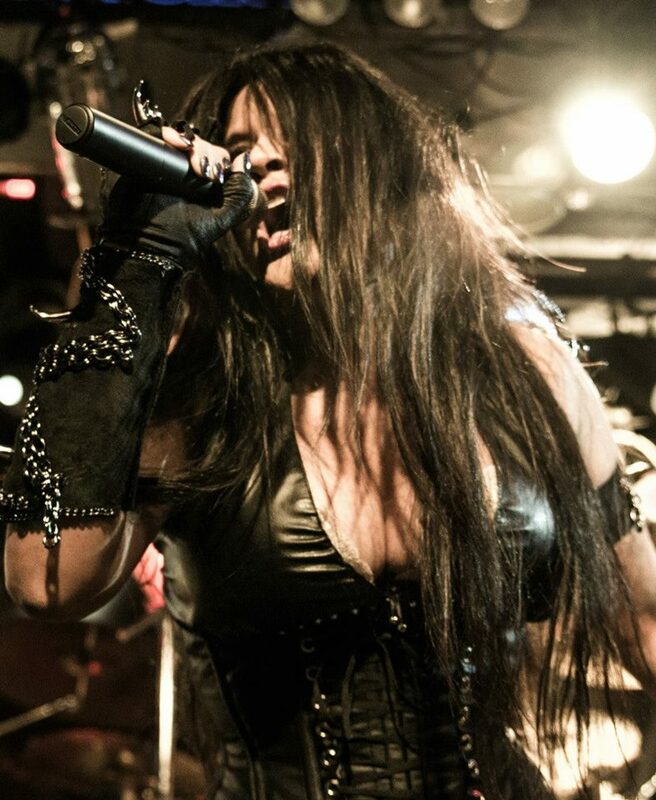 I’m on heavymetaltelevision.com, and I’m in heavy rotation there. Amps: Do you know there are only 24 hours in a day? How do you find time for all this? V: I do NOT know that and that realization has not quite sunken in all the way. That’s DEFINITELY part of the problem (both of us laughing)!! Amps: Jeff, what else is going on with you? I know you just produced KILL DEVIL HILL. When do you go back out with FOREIGNER? Are there any other projects in the works? Jeff: Oh yeah, we start at the end of January with FOREIGNER. I just did a song for a DIO tribute record that’s coming out. It’s got METALLICA on it, and I play on “Man On the Silver Mountain”. It’s Vinny Appice, Doug Aldrich, myself, and Rob Halford singing. Then I produced one track which is Oni Logan singing and Rowan Robertson on guitar, Brian Tichy on drums and Jimmy Bain on bass. We did the song “I” and that came out great. It was a lot of fun, this DIO tribute record is gonna be amazing! ANTHRAX is on it, ADRENALINE MOB, some really cool bands, and it’s a fabulous record. Amps: Now there are two duets on the album, one with Tony Martin (ex-BLACK SABBATH, “Cry”) and one with Nina Osegueda (A SOUND OF THUNDER, “Thornz”). Have you and V ever thought about doing one? We all know you can sing! Jeff: Well, we did do a two-part harmony for the last record (Dominion) on a song called “Sanctuary”. It’s not in duet-land but it’s definitely in harmonizing-land, and we love to sing together. A voice like V’s comes along maybe once every 20-30 years. And a guitar player like Pete, well…you’d have to go to a different planet to figure out where he comes from (V laughing hysterically in background)! Amps: V, tell me about “Cry” and “Thornz”, and are there plans for more of these? V: I wouldn’t mind. The history has been since the first album that we’ve had guest guitar players like Craig Goldy, George Lynch, and others who guest on songs throughout our little history. So this time I thought, “Well it might be kind of cool to have a guest vocalist.” And when it came down to it Pete had presented a song to me which was “Cry”, and he usually doesn’t send me stuff that already has vocals or anything. It’s usually just the riffs, but this song was different. And I didn’t even know who was singing, and it was HIM! So I said, “Pete, let’s do this one together” but he’s too shy for that. And I had already reached out to Tony as a fan thinking the worst he can say is no. So he asked me for some options and of the songs I sent him that’s the one he really liked, and he threw himself into it, and I’m really happy with it. It was a “Work with a hero” type of thing, you know? And it was a blast to work with Nina. She actually came out here to Arizona for that. And I had done a guest appearance on one of her EPs on a song called “Queen of Hell” and I thought we sounded really great together, so why not do something like that with the nature of “Thornz” being two women bashing the men that done ‘em wrong (laughs)! Amps: You’ve got a voice that is really distinct, and it sounds like you leave it all out there. So what’s your regimen to keep it in shape? V: Over the years I’ve pretty much taken it for granted, but I do have a regimen now. So now for me hydration is a big thing, and I have to warm up more. I used to do shows and just bounce back, but now I have to take care of it and dial it back, which is hard when the adrenaline gets going in the heat of the moment, and that’s the realization that I had to come to. Amps: Speaking of performing live, what are the tour plans? Anything finalized yet? V: I am working on it feverishly as we speak, talking with people, trying to get things set up. I believe we’re gonna be doing something in Mexico and Europe and if we have to do a Kickstarter campaign here for the U.S., so be it. There are so many places we haven’t been in our own country here, and we wanna get out there and make that happen, so you better show up! Amps: Oh believe me, I will. I actually feel bad only getting into the band now! So there you have it: My Saturday afternoon with V and Jeff Pilson. As you can probably tell, laughter was in abundance during this interview. But I can totally get why Jeff loves working with V because they complement each other so well. Here’s hoping this partnership goes on for many, many years and albums. And if you’ve been in the dark like I was, you simply HAVE to check out BENEDICTUM’S new record Obey. And when you’re done with that, there are three more waiting for you, so get crackin’! What a great interview Amps & Green Screens and thanks for posting Damian. It’s crazy how we stumble onto information like this at just the right time. Just today I was listening to BENEDICTUM’s new album and I got to thinking about when I saw BENEDICTUM play for the first time in San Diego. I met a family member of Veronica’s and we chatted before the show. They told me you are going to be AMAZED when you hear V’s voice. 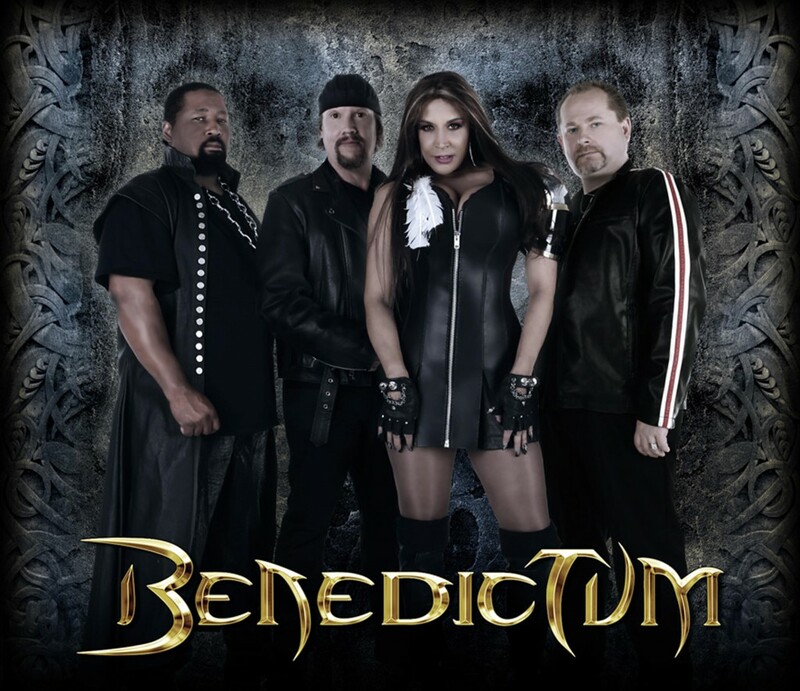 They had talked about how BENEDICTUM were just starting out and they had full confidence they were going to become HUGE in the ROCK N ROLL industry someday. Well there you have it everything I was told has become a REALITY!!! At the show I stood right in front of Veronica and her voice was absolutely mesmerizing!!! She was very attentive to me while I was shooting video. At one point she held out the mic for me to sing. The show was at a little venue but when she started to sing it felt like we were at a HUGE ROCK FESTIVAL!!! After the show I waited my turn to meet her and share how much I enjoyed her incredible voice. Now we are friends on Facebook and I keep up with her group “BENEDICTUM” as well on Facebook. When I have time LOL I catch up on listening to BENEDICTUM’s albums. Anyways I have followed them and it’s so great to see them ROCKIN to the TOP!!! Just a few weeks back I saw a post that Craig Goldy had a lot of influence to get them where they are now. I am a good friend of Craig from way back when he got his big start in the ROCK N ROLL industry. I met him at a friend’s house here in San Diego which is also Craig’s hometown. My friend Jeff said hey Craig why don’t you take Donna in my room and play a song or two for her. It was as if I was in a live concert with him. One week later when I was at Jeff’s I had asked where Craig was? He said Craig is up in Los Angeles and was playing with Roughcutt and than onto Guiaffria. When Craig started with DIO I was living in Los Angeles and he called to invite me to his first concert with DIO. How AWESOME was that?? It was so much fun seeing someone I knew personally playing with such an incredibly huge rock band who were one of my favorites even before I met Craig. I have a hobby on my off time which is of helping promote local bands. I started off with a band from Los Angeles who is “STEREO LOVE.” For a year I promoted them down here in San Diego through social media. Than I got a show for them to play here in San Diego at the Thunder Boat Races. A promoter from here introduced himself to them and that was the end for me. It’s a Dog eat Dog world and music is a tough industry. But I do it for the passion of keeping music in my life and getting the gratitude for helping others. So than last October 2013 I saw a local rock band play “Gunner Gunner” whom I am now helping promote. I knew they were means of something great from the very first show I saw them playing at. That show by the way was only their second appearance at a venue for their band. I told them that night that they needed to meet a local promoter I knew of who took over promoting “STEREO LOVE.” Why did I do that? Simply because I believe if you let things go that are upsetting than good things will come out of it in the end. Since than I became friends with Joseph and I have the same beliefs as him which is helping our local bands. We are now helping one another out with promoting “Gunner Gunner.” Joseph invited them to his open mic nights and has produced several videos for GG. He has now had them play at seven shows since October here in town. The difference between “Gunner Gunner” and “Stereo Love” for me is that these guys truly appreciate everything I am doing for them. So my next plan is to get together with Craig to see if he can help me out with “Gunner Gunner.” I trust in Craig to tell me what would be the right next direction for my band. I am also trying to find out how to find another bass player for the band.